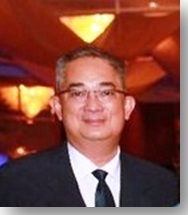 Mario Katigbak Espinosa has varied experience in both the government and private sectors, adept in the management of private corporations and a local government unit, and has substantial experience in the operation of government owned and controlled corporations having been part of the board of directors of several of such companies. At present, he serves as Director of Masbate Consolidated Arrastre, Inc. and MCI Cable, Inc. He served as Undersecretary of the Presidential Assistant for Bicol Affairs from 2003 up to 2005. He is also a Director of Toll Regulatory Board representing the private sector. He served as Director of Granex Oils Mills from 2002 to 2010. He contemporaneously served as Director of Macopramarco, Inc. in 2008. In his political career, Mr. Espinosa served as Vice Governor of Masbate Province from 1998 to 2001. He also served as Provincial Administrator of Masbate from 1992 to 1995. President Espinosa earned his A.B. Philosophy degree from University of the Philippines - Diliman in 1980.